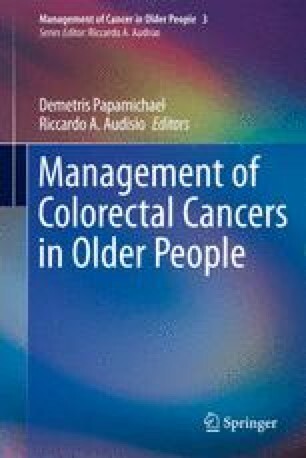 Elderly colorectal cancer patients are underrepresented in randomized studies. Despite the fact that modern guidelines are evidence based, they may not be considered validated for the compromised elderly patient. Increasing age and comorbidity decrease the physiological reserves to respond adequately to occurring complications. Acute surgery also is a major challenge for the older colorectal cancer patient. As a result, before counseling an older patient with colon or rectal cancer, a thorough somatic and mental assessment has to be performed in order to give the best treatment advice, considering primarily the patient’s and his or her family’s perspective.